Could you believe this? What a meteoroid is going to hit Earth? No! Lenovo is already planning to launch K9 Note in India. The month and date are not yet confirmed, but some leaks on the internet are quoting it would be sooner than we expect. Deja Vu!! It’s happening all over again. After Lenovo K4 Note, the brand quickly jumped to K6 Note. And thus, it is expected that Lenovo K9 Note might be introduced by the company early. We have got some scoop on Lenovo K9 Note Full specifications and features. The Lenovo K9 Note release date in India has neither been officially released by the manufacturers or any rumours exists about the same. Keeping in mind the trend that Lenovo has, the release date should be some time in the first quarter of 2018. It might be during CES or MWC events in January and February, respectively. Let's talk about the Lenovo K9 Note specifications below to know whether it's worth waiting or not. Dual Rear Camera, Dual Front-Camera, Android 8.0. Do you crave for power on your smartphone? With Lenovo K9 Note by your side, you get all the power you deserve. This time the Chinese giant would reportedly opt for a Qualcomm processor, which would be the first time in their K Note Series. Thus, giving them an edge over other mid-range competitors with MediaTek processors. Qualcomm Snapdragon 653 processor is the rumoured power-house on the upcoming Lenovo K9 Note later this year. Accompanying the processor would a 4GB RAM. 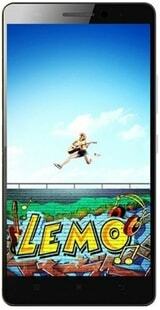 But it is reported that Lenovo might opt for a 6GB RAM, which would be a first in mid-segment. This will surely justify the Lenovo K9 Note price once it comes to out India. There is no confirmation on whether the phone will be featuring a Nougat or an Oreo version of Android OS. A recent leak about the Lenovo K9 Note specs mentioned that phone might be sporting a Snapdragon 660 processor. The phone will surely be launched in the mid segment in the price range of smartphones under 15000 price bracket. That price bracket has become a sweet spot for the mid-range smartphone users to shop! The optics department isn’t the best suite on Lenovo smartphones, but that has changed with the dual camera introduction on Lenovo K8 Note. With K9 Note, Lenovo is taking the camera game to next level as they plan to embed dual front cameras as well offering bokeh effects in the portrait modes. Cuz why not! Portrait mode is the craze these days. A selfie camera with this feature is a killer feature that Lenovo would love to add. Its predecessor had introduced Lenovo's first Dual rear camera design and the Lenovo K9 Note is sure to take that along. Addition of Dual selfie cameras would be an interesting, as it would take the K9 Note into the league of selfie centric smartphones that are around on the market. This Lenovo K9 Note camera specifications would make it the best-in-class if it's priced below 15000. Criticized for its battery life, the K3 Note had its share of abuse from its users. But Lenovo quickly understood what was wrong with their handset and since then the iterations on this series has been equipped with an impressive battery life. With Lenovo K9 Note company is purported to sport a similar 4100 mAh battery as seen on K8 Note. There would be a rapid charging support for faster charging. Thus, the battery life won’t be an issue on K9 Note phone. Lenovo needs to focus a bit more on designing their handset as they have not produced a striking beauty in ages. And that’s what is being expected from Lenovo K9 Note, a design that can bring out inspiration to its users. We need another bezel-less phone and Lenovo K9 Note could be that phone, only if the brand decides to bring its phones to a fantastic design level. Talking about the display, the screen size is expected to be same, but with a bezel-less design, there would be more room for entertainment. Resolution of this screen is purported to be 1920 x 1080, which is a full HD resolution. The curved glass and Corning gorilla protection make it an amazing display to look forward to. Storage standards have changed a lot over the years and Lenovo is quick to adopt them. Thus, the rumour mill states that Lenovo K9 Note would come with a 64GB onboard storage and an option to use expandable storage of up to 128GB. There would be a dedicated slot if one goes with the rumour mill information. No storage woes at all on this one. Why should I wait for Lenovo K9 Note release in India? To wait for this device or not is purely up to you. We would recommend you mustn’t as it might not turn up as you expect. The mid-range segment is a crowded market and it is ever growing. If you are the person who has the patience to wait for phone or you’re not simply looking for an upgrade for at least next six months, then, you can definitely wait out and see how Lenovo K9 Note turns up in real life. As far as the Lenovo K9 Note specifications are concerned, there is nothing confirmed about it. So, we suggest you take the information listed here with a pinch of salt. The news of the launch of its predecessor the K8 Note has definitely created waves. Thus increasing the expectations on the Lenovo K9 Note Features. With the bar high, will the next product on the assembly line of the K series match the expectations? With the way Lenovo has progressed so far, it looks achievable. Next year is upon us and it looks like Lenovo might introduce a Lenovo K9 Note that will sport 18:9 ratio bezel-less display. Honor has already embraced this trend with their Honor 7X and Honor 9i. Whereas Xiaomi has also revealed Redmi 5 and Redmi 5 Plus in China. It is about time for this Chinese giant to unveiled their next generation K Series phone in 2018. Come back for updates on this. What is the expected Lenovo K9 Note price in India? Lenovo is known to be aggressive with the price tag on their handsets, and it is believed at the price of Rs 12,999, they would disrupt the market. What's the update on Lenovo K9 Note release date? > Unfortunately, Lenovo hasn't released the next Killer Note at MWC 2018. People looking forward to this handset would have to wait. Lenovo usually releases the successor around this time of the year. > If you have been looking for the release date of the Lenovo K9 Note, well, its a bust for now. Cuz there are no rumours currently doing the rounds. We suggest you wait and watch. > Lenovo is expected to release the full vision display enabled Killer Note phone. The K9 Note would be getting an announcement pretty soon. You just have to show patience. > The brand is currently focused on increasing the Motorola's market share via the introduction of Moto Hubs. In this order, they are missing out on increasing the popularity of the K Series. It has been quite long since a solid K Series phone was introduced in the market. The brand is expected to introduce a Series of Killer phones during the IFA 2018 week. Why should you not wait for Lenovo K9 Note? > Lenovo is known to be a road less taken, and it may just night introduce this successor. And would rather introduce a different series altogether. Maybe it's time to abandon the K Series. Lenovo K9 Note full specs and reviews as of Apr 2019. Buy it here!